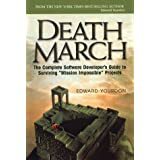 Death march projects are becoming increasingly common in the software industry. The symptoms are obvious: The project schedule, budget, and staff are about half of what is necessary for completion. The planned feature set is unrealistic. People are working 14 hours a day, six or seven days a week, and stress is taking its toll. The project has a high risk of failure, yet management is either blind to the situation or has no alternative. Why do these irrational projects happen, and what, other than pure idiocy, leads people to get involved in them? This is a good, but not as good as I expected, quick read on an interesting topic. 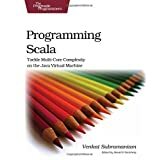 A lot of relevant anecdotes from some experienced engineers, but it wasn’t as useful as I hoped. Sometimes, quitting is not the answer! I was really hoping for a “prescription.” There are enough useful tidbits and soundbites here to be worth the read, however, and it’s a great introduction to other similar writings (many referenced within).